Redskins rookie running back, Derrius Guice injured his left knee in Washington's 26-17 loss to the Patriots Thursday night from Foxborough, Massachusetts. He tore his ACL and is out for the season. The enjoyment of watching Redskins rookie running back, Derrius Guice lasted exactly one pre-season game. 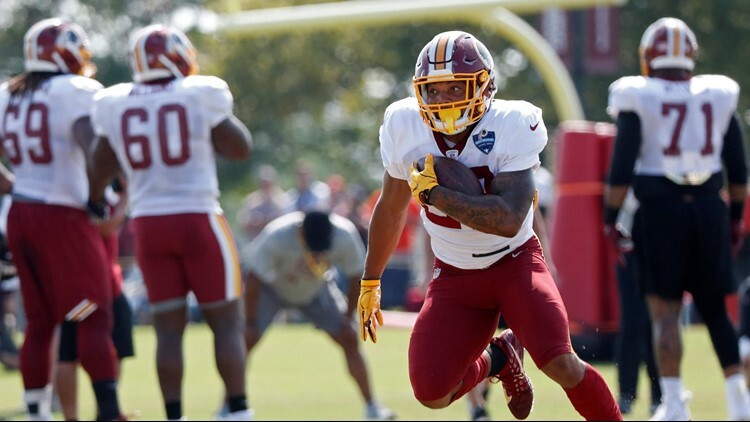 A second round choice out of LSU, Guice tore the ACL in his left knee at the end of the first quarter in the Redskins 26-17 preseason loss against the Patriots Thursday night. It's the same left knee Guice sprained while in college, but he had just missed one game. Washington had been rotating running backs during training camp, but the rookie has been impressing his new teammates. Many were expecting him to be an opening day starter.